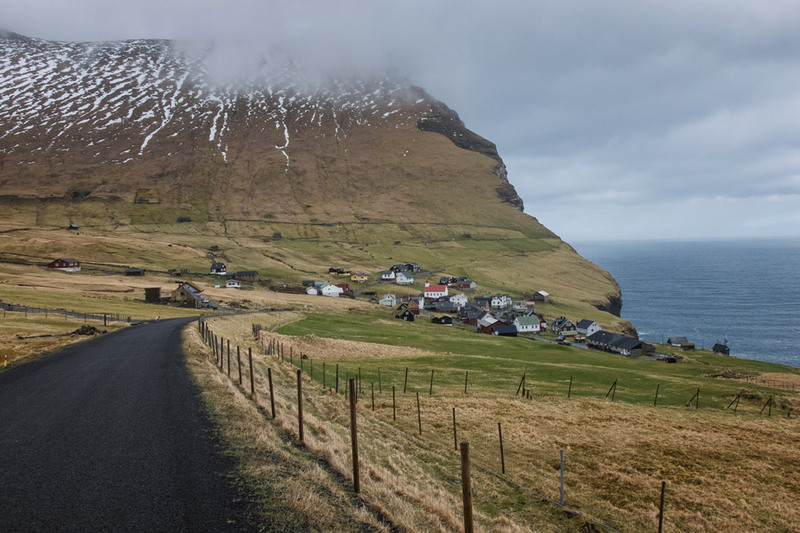 The island of Kalsoy stretches north like a slender finger – the southern end reachable by ferry and the opposite by a single one-lane paved road from the port. The ratio of sheep to people that we met on that road was probably one thousand to one, so beside the occasional showdown with a gang of the wooly creatures daring us to contest their blockage of the pavement, we cruised with little to slow us. Although we did feel the frequent need to stop and record the scenes before us. Clumps of colored houses in the four communities encountered along the way, some black with tar to better stand the weather, some with traditional grass roofs and the odd sprig of yellow daffodils growing on them. 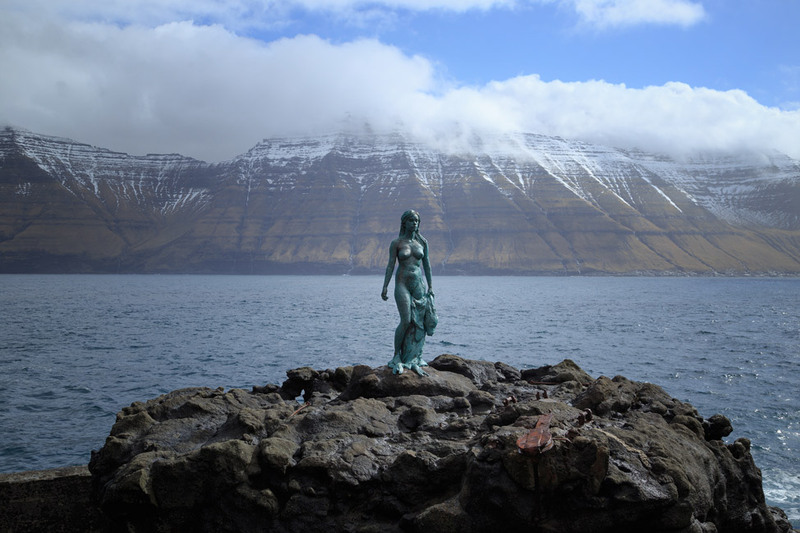 A beautiful statue of the Seal Woman in Mikladalur and the legend of her heartbreak and revenge on a local community. A waterfall that roared near her feet. We had plenty of time between ferries to get to the most northern tip. And with just one highway, there was no need for a map for our trip to the small island. 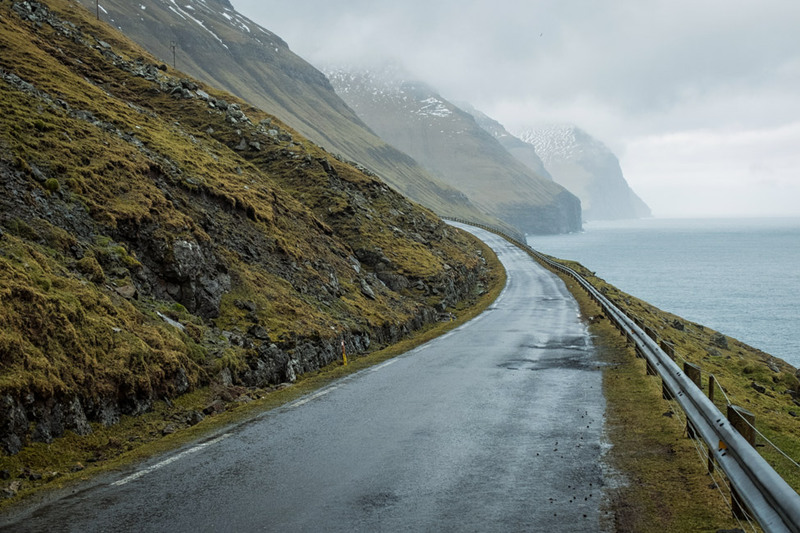 With just one highway, there was no need for a map for our trip to the small island of Kalsoy. Or so we thought. 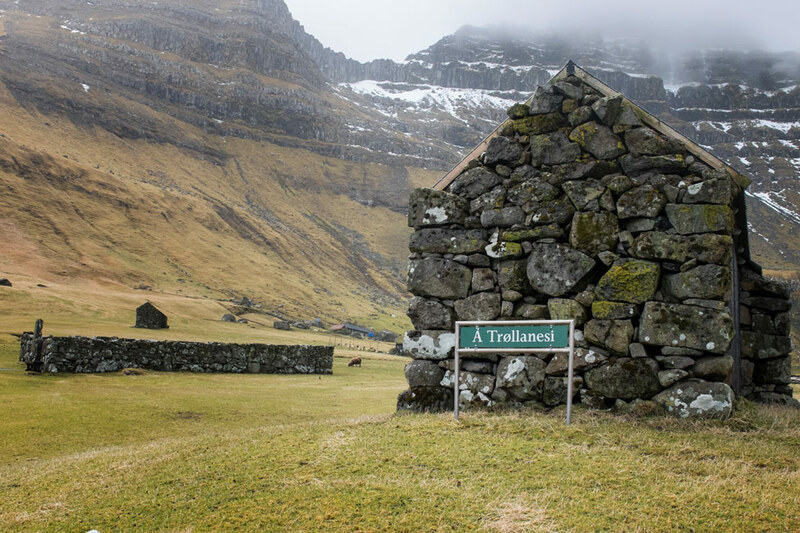 Trøllanes, a town of 20 inhabitants at the northern tip of the island, was our ultimate destination and the reason that Kalsoy was on our must-see list to begin with. Not exactly for the town itself (although worthy in its own right), but for a spot that could not be seen upon arrival. Somewhere, over one of the hills that surrounded, would be this view of a distant lighthouse that we wanted to capture for ourselves.The day shaped up perfect for our arrival – only minor skirmishes with rain and patches of blue sky were even pushing through. We came into town and found an announcement board that we were sure would have the instructions on where to find the lighthouse. Or maybe even a map, or maybe we would even soon see a visible path. Instead, we saw none of the above. Only the pretty little town and a very scant idea where to go based on what we had previously read. Somewhere, over one of the hills that surrounded, we hoped to find a distant lighthouse. Because we grabbed a snack out of the car, and sat on a cliff, and stared out at the Norwegian Sea, and wondered if we could throw a rock hard enough straight over the Arctic, would it hit Alaska or Russia or fall right into the Bering Strait? We had sheep stare at us intently, I debated testing a path that wrapped around the side of another mountain (Pete talked me out of it based on the swift drop to the sea that would happen with one misstep), and the sun briefly found us once again. 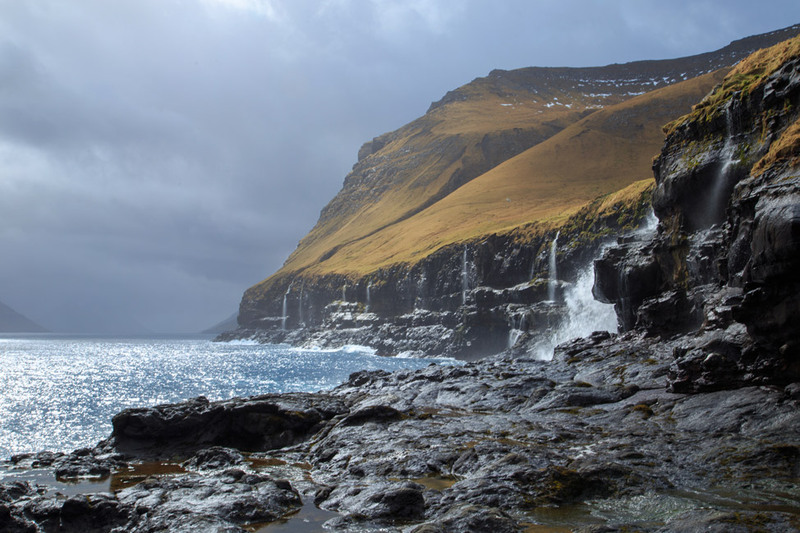 We took a slow drive back to the ferry, stopping again to catch new photos at new angles of light on Kalsoy. We gave up our quest. But the funny thing was, we weren’t disappointed. We learned later that we had been going the right way, but just had not gone far enough. We sighed in disappointment, slightly chastised the regional tourism for not putting up signs or a path or anything to help us get there, but then, a few minutes later, realized we were actually happy for it. How often do we get to tramp into the wild to find (or not find) a worthy sight? Not often enough, I tell you. But that is what a true adventure should be about. And that is what we found in Kalsoy. Driving into the town of Trøllanes, you’ll arrive at a T intersection. Park on the right, but then walk left at that T, and keep walking straight and up and up. You should find the lighthouse. (So we’ve since been told.) 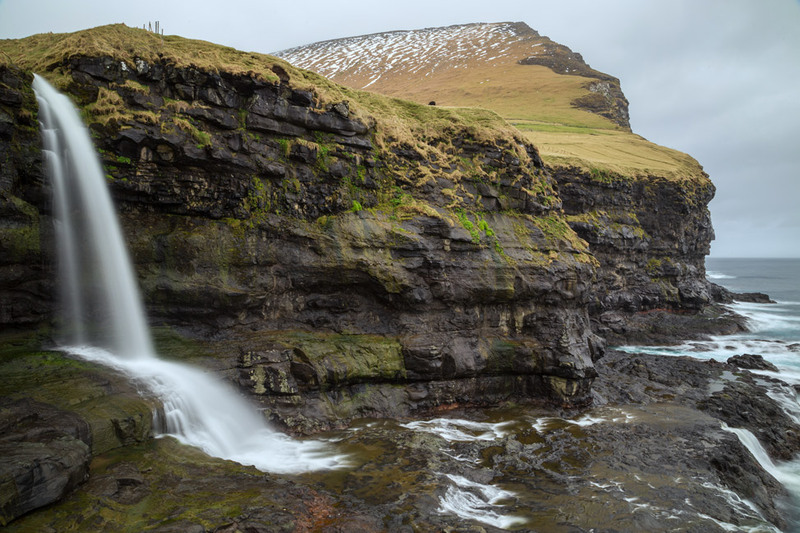 Such is the case often while hiking in the Faroe Islands – do your research before hand! 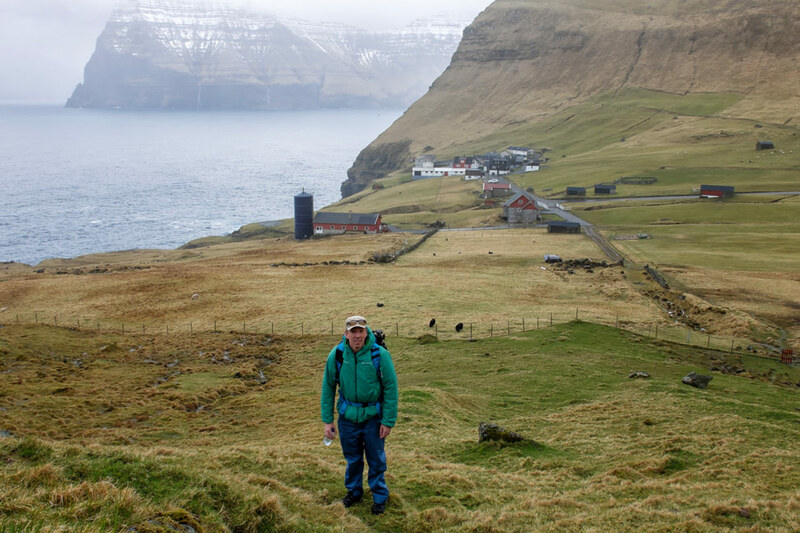 Our trip was courtesy of Visit Faroe Islands. All opinions, as always, are our own. This place looks incredible! How did it compare to Greenland? It’s more developed (at least the part of Greenland we saw), and actually connected by roads. 🙂 I’d say it’s almost like a cross between Iceland and Greenland in a way – but WAY less touristy than Iceland. 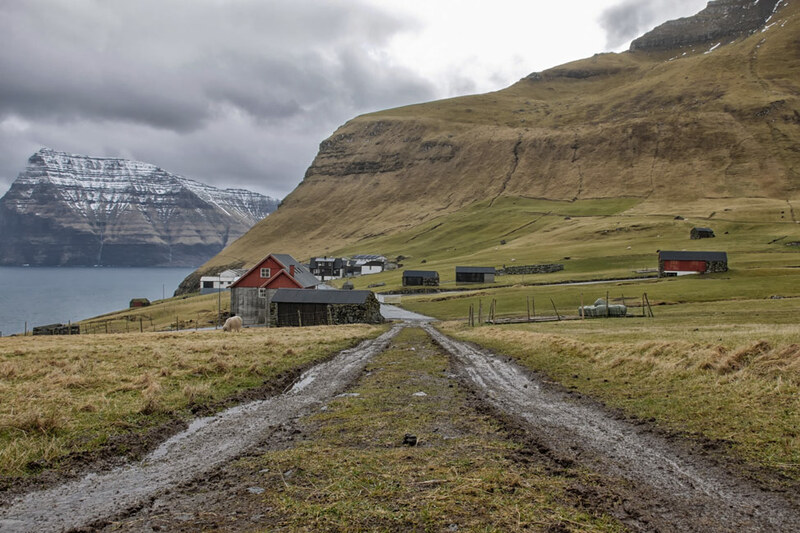 Dalene, Faroe Islands has almost the same standard of living and development as Denmark, Greenland, unfortunately is very much behind. 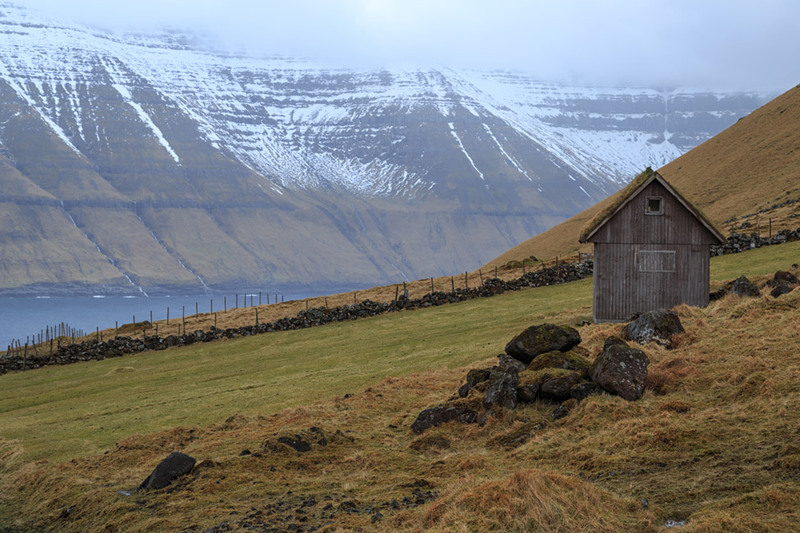 Actually Faroe Islands has the highest standard of living in Europe in the statistics and that is not very far from the truth. 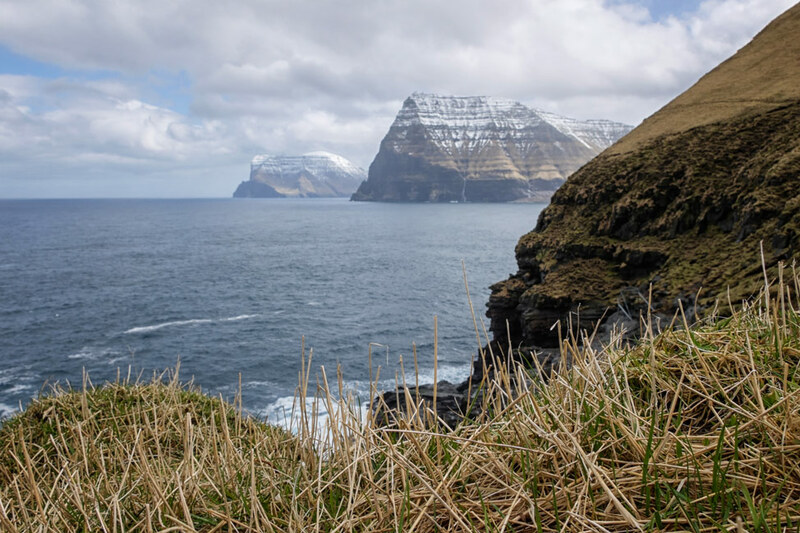 Otherwise, stunning pictures, Kalsoy is by far my favorite island from the Faroes. 2) What a great lesson to learn from your adventure! You and Pete are an inspiration to us and I’m sure to many others. Thanks for sharing. fantastic photos. You two make everywhere look interesting! The photos look amazing! How difficult was it to get to? Did you fly from London or from a different city. 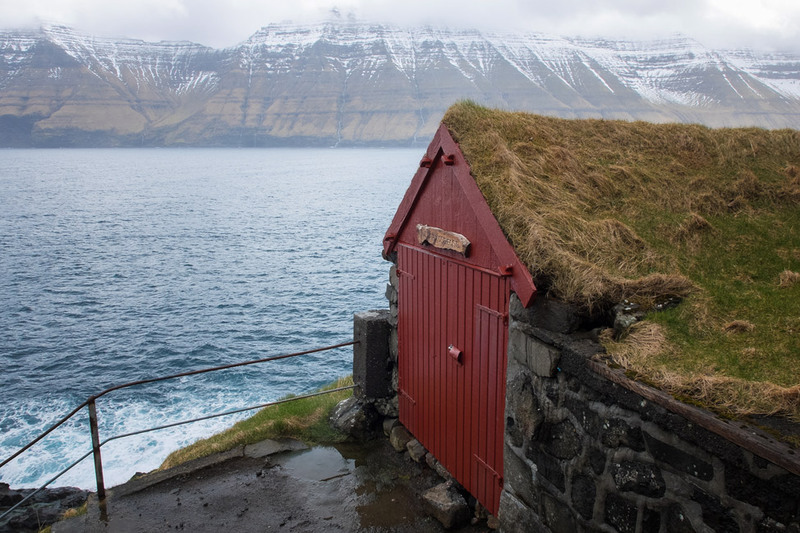 We would love to explore the Faroe Islands. I managed restaurants for years, and we always carried Faroe Island salmon, which is delicious and some of the highest quality farm raised salmon in the world. 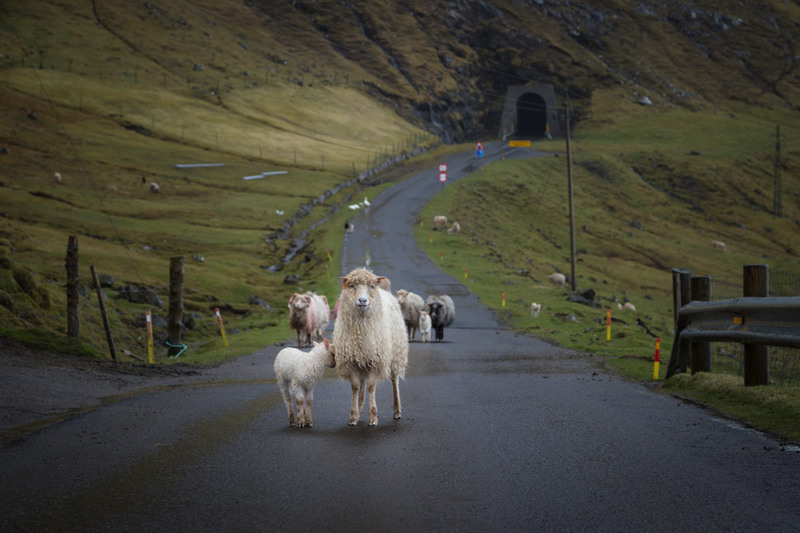 It would be fun to actually go to the Faroe Islands to check them out. 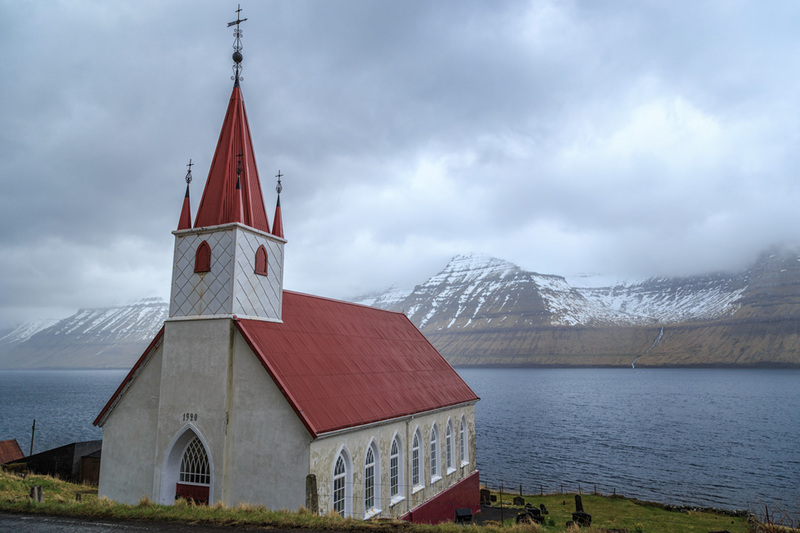 All year round flights up to six times a day from Copenhagen, ferry from Hirtshals, Denmark, flights three times a week from Reykjavik, Iceland, also from Bilund and Aalborg, Denmark and Bergen, Norway. In the summer, there are flights from Edinburgh, twice a week. And Barcelona, but I believe we go too far. I hope you make it there Drew. It is a fabulous location, and we heard that the Islands produce some of the best salmon in the world! What a beautiful memorable adventure… a day in life, truly well spent! Arti recently posted..Where to Stay in Shirdi? A Peaceful Accommodation in Your Budget! The photos are incredible. The whole place seem so dreamy. The weather seems magical as well. I would love to be there someday. Love adventures like this! We find some of the best memories have come because we made a wrong turn on our way to our planned destination, or just didn’t go far enough (yes that’s happened to us as well!). 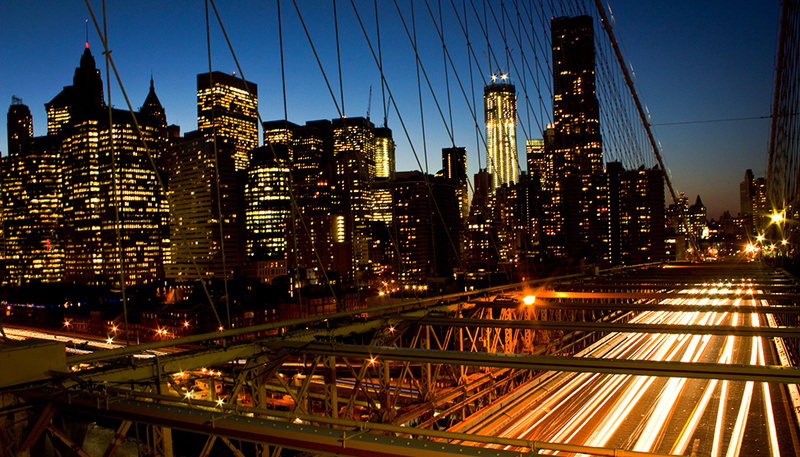 there are so many great moments and places that haven’t been created especially for tourists. I want to know about the Seal woman – what is her tale of heartache and revenge? Natalie recently posted..Is Turkey Safe from Isis and Terrorism? 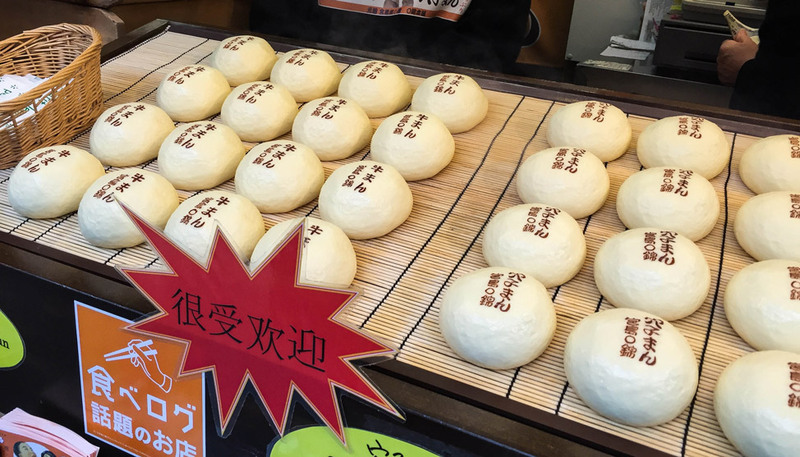 hey guys, just need to say something: this is probably the best blog post of all times. great story and what can I say about the images? out of this world! I watched you guys speaking in helsinki last january and believe me, you are one of the greatest inspirations for me. as a blogger and also when it turns to lifestyle, no possesions and the “less is more” way of living. keep rocking, my friends! and cheers from brazil! 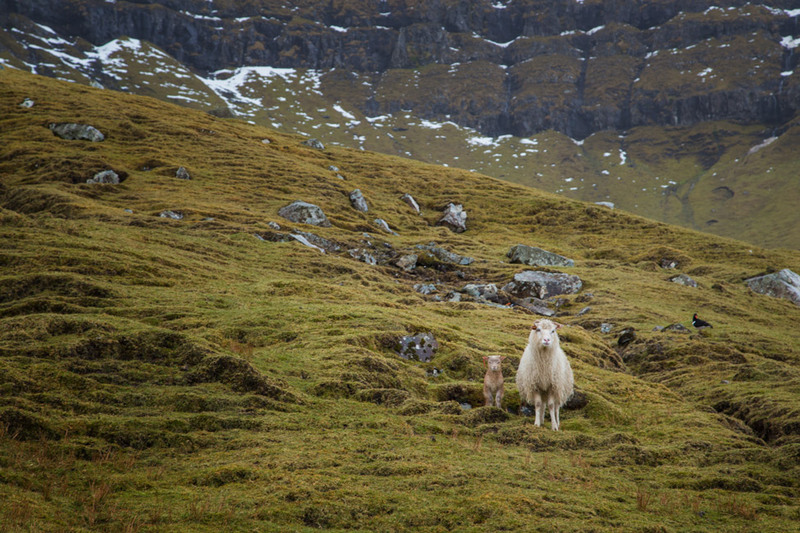 Those two sheep staring at you guys are kind of eerie. STOP STARING AT ME, SHEEP. I’ve come across your blog/website and I couldn’t be more pleased. 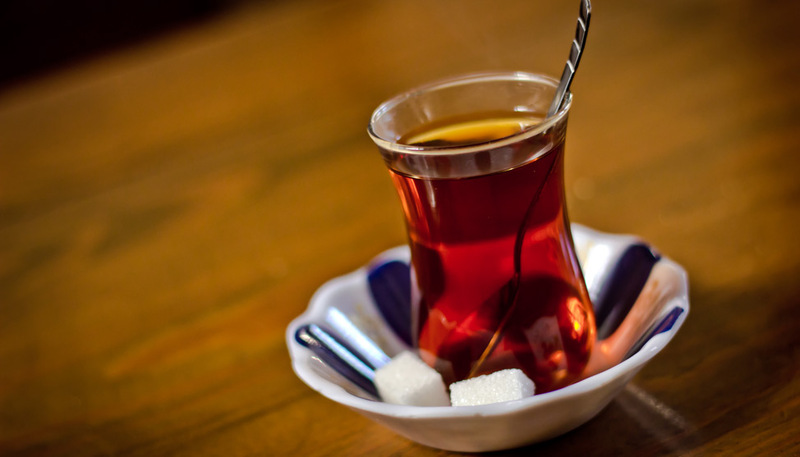 Aside from your photography, your blogging and travel writing is amazing! Beautiful adventures – thanks for sharing. How did you get to Kalsoy? Boat ferry? Is there a tunnel to drive? Catch a ferry at Klaksvík! There is no tunnel there.